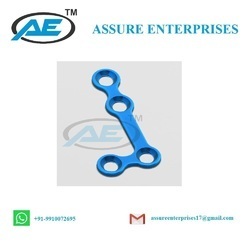 Pioneers in the industry, we offer orbital curved plate, x shape plate, continuous hole plate, z shape plate, adaption straight plate and mini h shape plate from India. 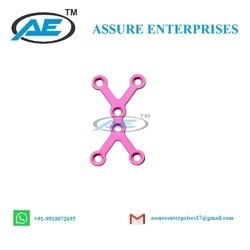 We are offering Orbital Curved Plate to our clients. 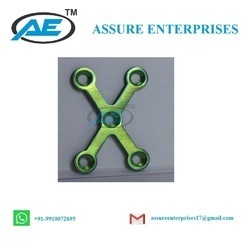 We are manufacturer of ASSURE ENTERPRISES Company is made of X Shape Plate in High standard quality Product in SS (Stainless Steel) & Titanium both Materials. It’s used in maxillofacial implants. 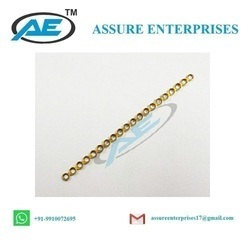 We have available sizes Dia 1.2mm, 1.3mm, 1.5mm & 2.0mm with 5 holes. 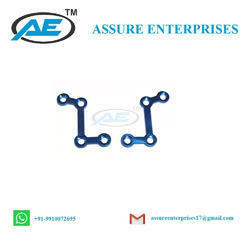 We are offering Adaption Straight Plate to our clients. 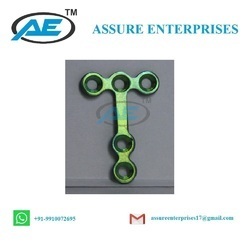 We are offering Mini H Shape Plate in good international quality.It is available in both steel and titanium. We are offering Orbital Plate With Bridge in good international quality.It is avilable in both steel and titanium. 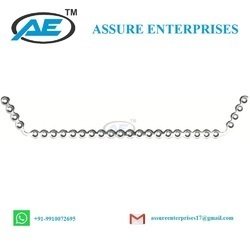 We are offering Reconstruction Plate Double Angled in good international quality.It is avilable in both steel and titanium. 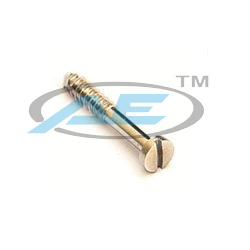 We are offering Screw 2.0mm Dia in Slotted Head and Cross Head in good international quality.It is available in both steel and titanium. We are offering Screw 1.5mm Dia in Slotted Head and Cross Head in good international quality.It is available in both steel and titanium. We are offering Screw 1.8mm Dia in Slotted Head and Cross Head in good international quality.It is available in both steel and titanium. We are offering Screw 2.3mm Dia in Slotted Head and Cross Head in good international quality.It is available in both steel and titanium. 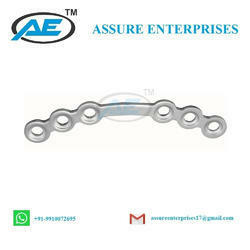 We are offering Nose Plate in good international quality.It is available in both steel and titanium. 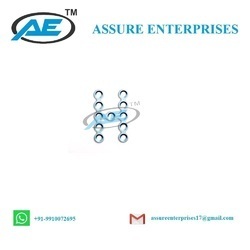 We are manufacturer of ASSURE ENTERPRISES Company is made of T Shape Plate in High standard quality Product in SS (Stainless Steel) & Titanium both Materials. It’s used in maxillofacial implants. 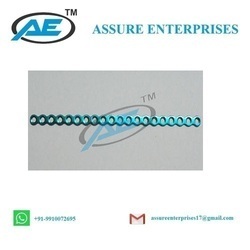 We have available sizes Dia 1.5mm 2.0mm, 2.5mm with Head Holes 2x2 & 3x3. 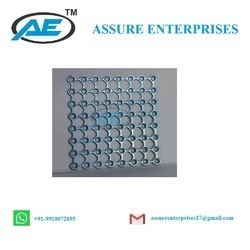 We are manufacturer of ASSURE ENTERPRISES Company is made of Mesh Plate in High standard quality Product in SS (Stainless Steel) & Titanium both Materials. It’s used in maxillofacial implants. We have available sizes 40x40, 50x50, 75x75, 75x100, 75x150, 75x200. We are offering Mini L-Plate to our clients. 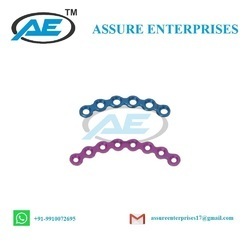 We are offering Double Y Shape Plate in good international quality.It is available in both steel and titanium. 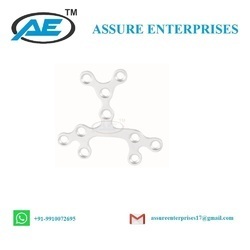 We are offering Angle Reconstruction Plate in good international quality.It is avilable in both steel and titanium. 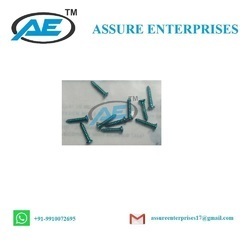 We are offering Emergency Screw Dia 2.7mm in Slotted Head and Cross Head in good international quality.It is available in both steel and titanium. 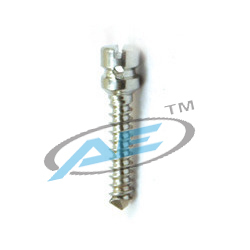 We are offering Screw 2.5mm Dia in Slotted Head and Cross Head in good international quality.It is available in both steel and titanium. 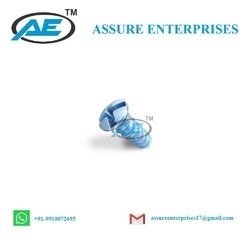 We are offering ACL Endo Button in good international quality.It is avilable in both steel and titanium. 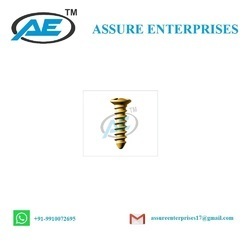 We are manufacturer of orthopedic implants & surgical instruments in good international standard quality. 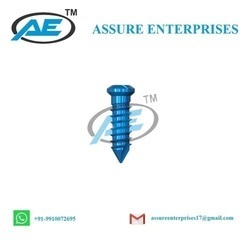 we have big range of it.we offer Lag Screw in big range in stainless steel & Titanium materials both.